love this Lisa!! !Love everything about it!! Perfectly lovely and fresh! 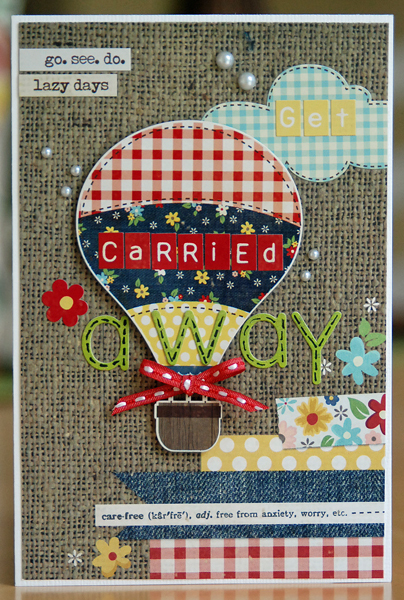 I love the texture with the burlap and the way you used the alphas. You always have just the right touches, like that sweet little red bow. Great card. ok lisa this is simply awesome!! everything about it is beautiful!! this is totally fantastic! AND, it makes me want to buy that line - LOL! Love it = very fun! 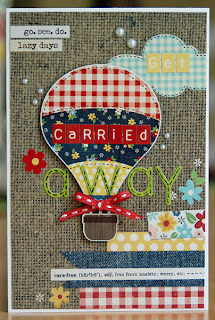 I love hot air balloons and your is adorable on your card. Great fun. I am really beginning to fall for Simple Stories. I gasped out loud when I saw this! It is using my new beloved!! Fabulous, fabulous...love, love, love! Really great design and the pearls are a nice touch. Wow...what a stunning card! Love it! I absolutely adore this card!